AUSTIN (KXAN) — A trip to the Lyndon B Johnson Presidential Library in Austin is usually full of history, and politics. But a new exhibit throws a bit of a curveball. 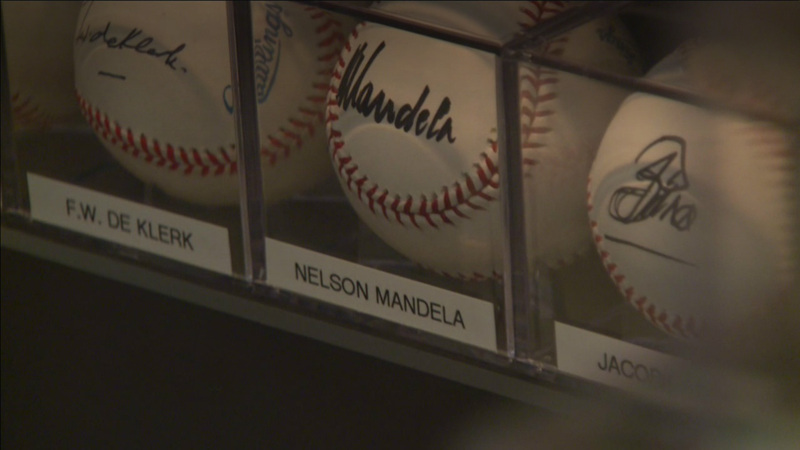 The museum is currently showing a collection of more than a hundred baseballs all signed by current and former heads of state from around the world. The display includes autographs from President Obama, The Dalai Lama, Margaret Thatcher, and several others. Randy Kaplan has slowly been collecting the signed baseballs since 1996 and says each ball tells a story. Take for example, how he ended up getting Nelson Mandela’s signature. It involved asking a friend in Congress. Kaplan says he’s never paid for any of the signatures.